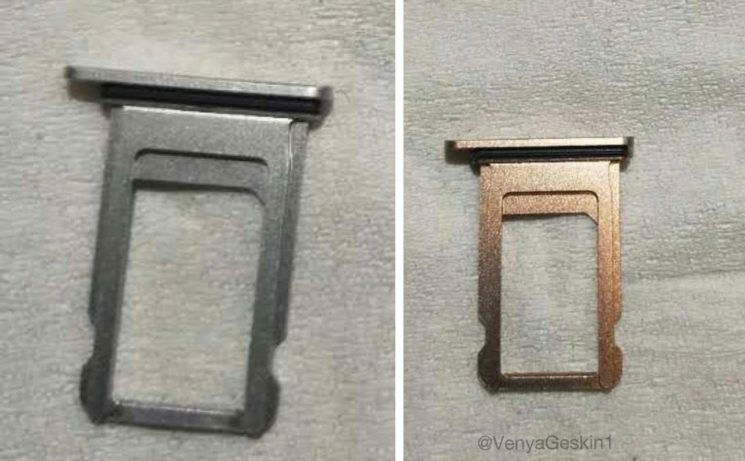 Apple Leaks : New Apple New iPhone 11 Leaked Sim Tray Revealed By SlashLeaks So As you can see in the image that Their is so Much big difference in These Tray’s of iPhone The Colour of the Tray is Quit Change in size and in Colour. iPhone X2 Sim Tray should include a new copper-like colorway (probably called Champagne Gold, Blush Gold or some such) and a pair of newly leaked SIM trays for the device appear to support this. 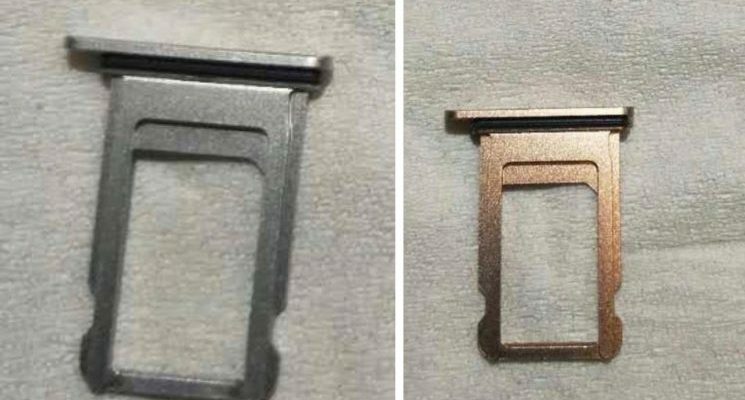 Published Article : Monday on leak aggregator SlashLeaks, this image seen top of post apparently shows two SIM trays for an iPhone x2, one in Apple’s standard Silver finish and the other in a pretty deep shade of Gold for iphone 11 that I don’t think we’ve seen in an iPhone before. The OLED iPhone, as well as the the iPhone 8s and iPhone 8s Plus models, should come in Silver, Gold and Black. However, only the flagship iPhone 11 model is expected to potentially provide additional color finishes such as the aforesaid Blush Gold. The images were originally shared by smartphone leaker Benjamin Geskin. I think I’ll be going with the BLUSH GOLD colour iPhone 11 available because any other colour will probably have a white front face and I want that notch up the top of the OLED display to stand out.